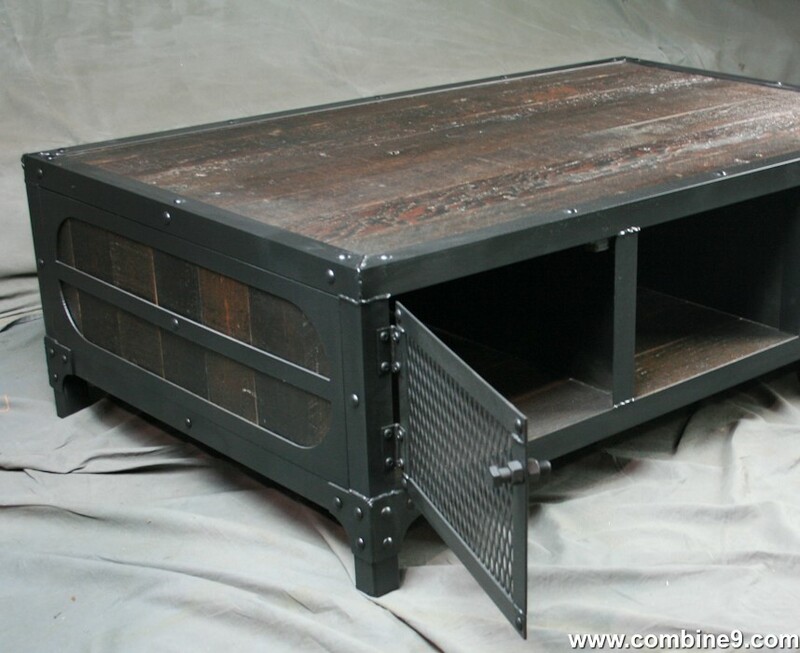 The front of this coffee table features mesh doors. 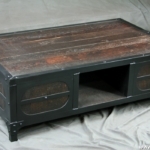 This coffee table has plenty of storage space. 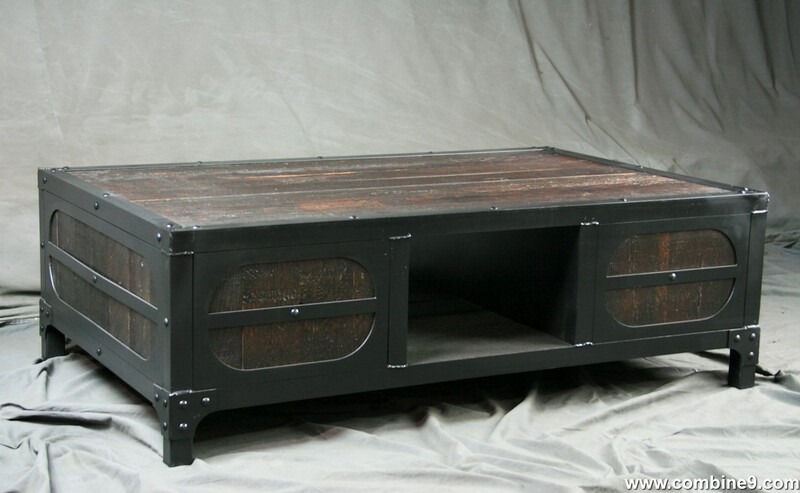 The back features decorative wood panels. 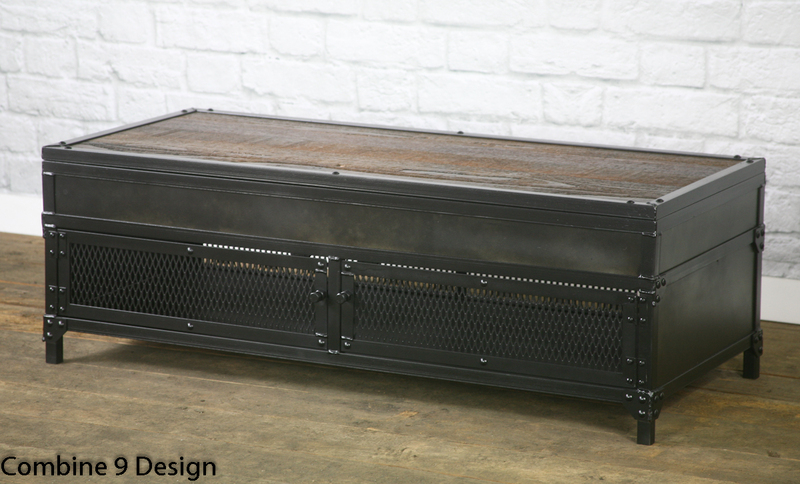 Our latest vintage industrial coffee table would make the perfect centerpiece in your modern cabin or urban loft. 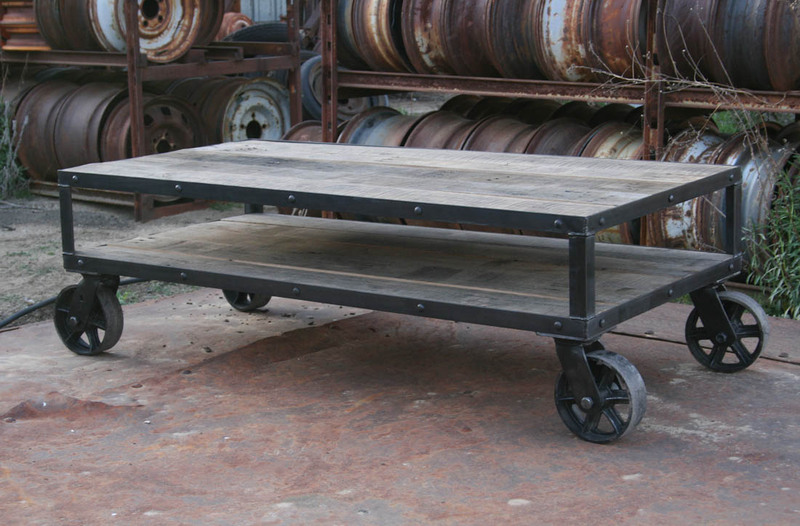 The beautiful reclaimed wood finish is framed by black steel and incorporates decorative round elements on the sides and back. 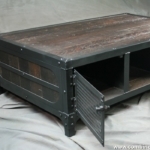 This coffee table is built with two storage areas with mesh doors and an open space down the center. 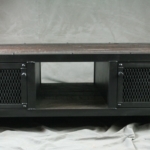 Yours can be made with any configuration of swinging doors, drop down doors or drawers that you see in our portfolio. 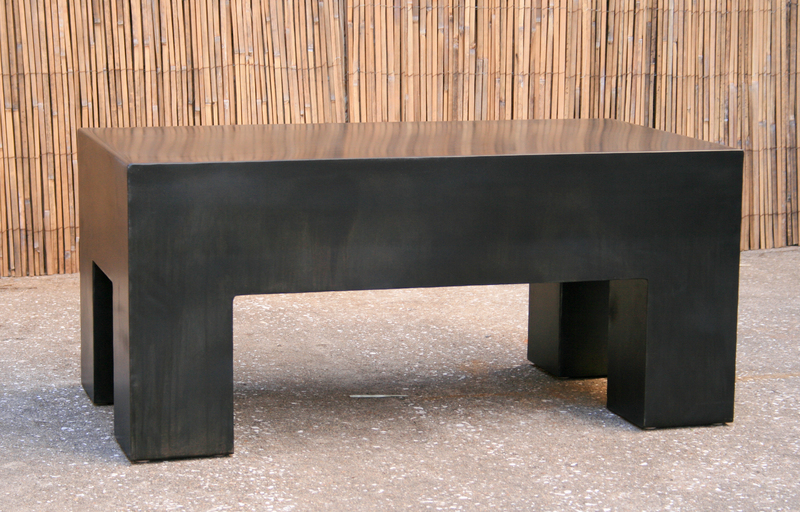 This piece can be made of all steel or any of the wood finish options we use on our custom industrial furniture. 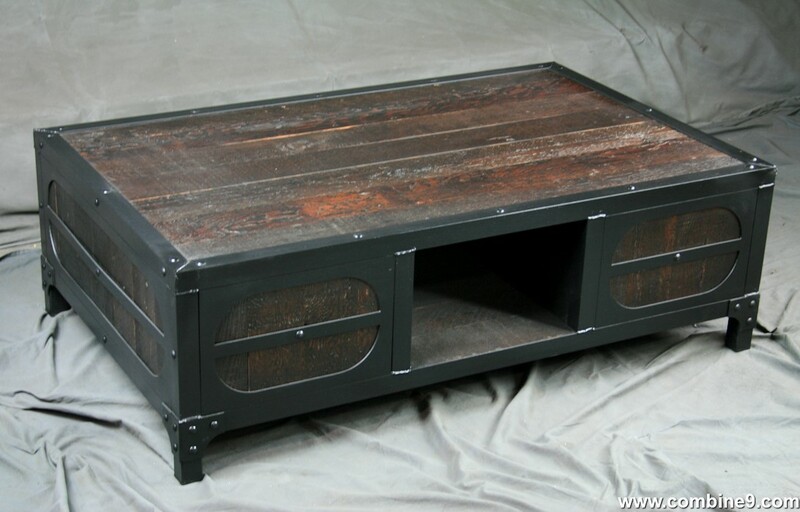 We can also build this rustic coffee table as a lift top without the doors and open space in the center. 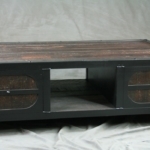 To see an example of a lift top coffee table, take a look at our Catalina model. 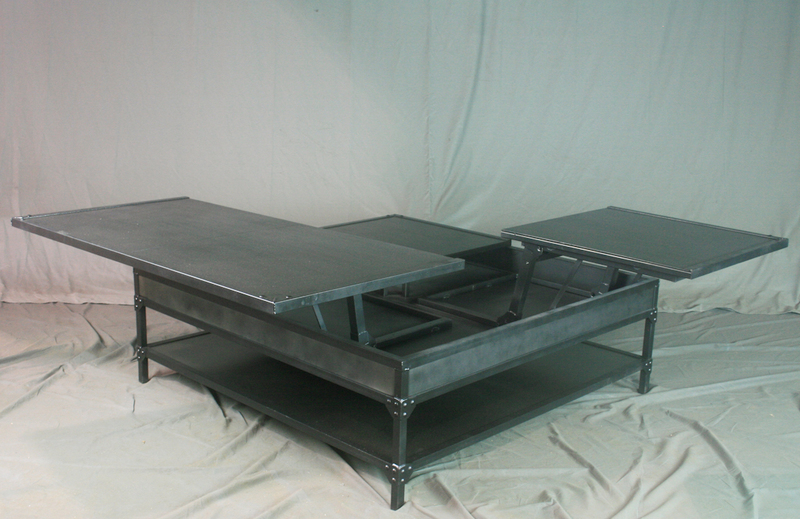 Contact us for pricing if you’d like yours built differently than what is shown. 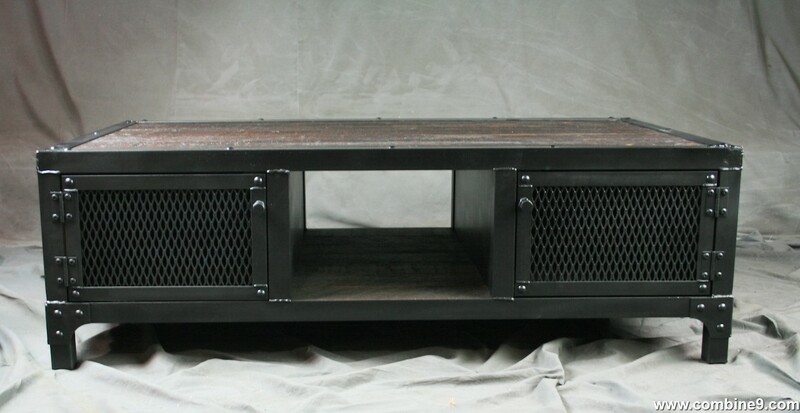 Please inquire for information and pricing on any changes you would like. 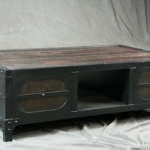 See our “Customization Options” page for more ideas on how we can customize your piece. If you have an idea that you don’t see, please let us know. 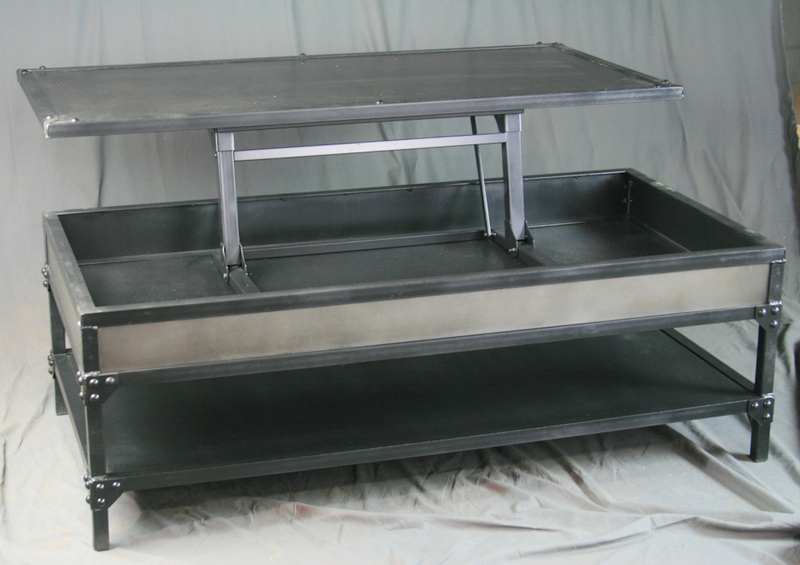 We’ll be happy to take a look and let you know if we can build it for you. 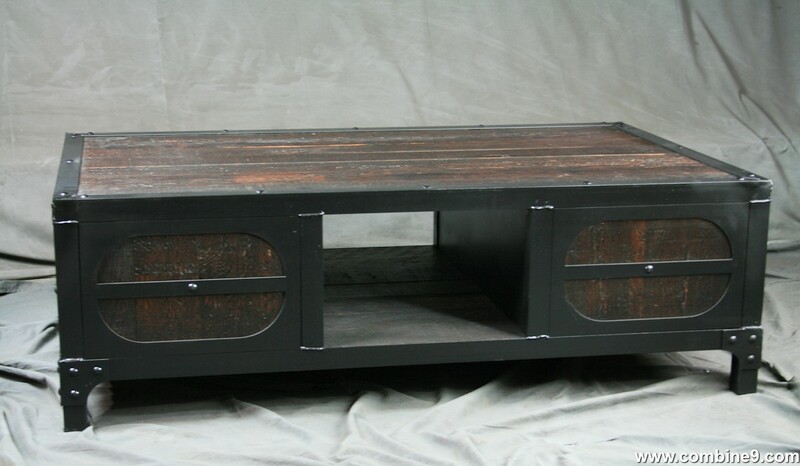 We also create many other custom pieces in this and other styles, so, please contact us if you are looking for any other furniture. 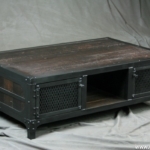 We would love to discuss how we can work together to design a unique piece to fit your needs! Please see our other listings to see some similar designs. Some of our past clients include Google, Disney, Warner Brothers, Wyndham Hotels, Hilton Hotels, Holland America Cruise Lines, YouTube, NBC Universal, and LinkedIn. 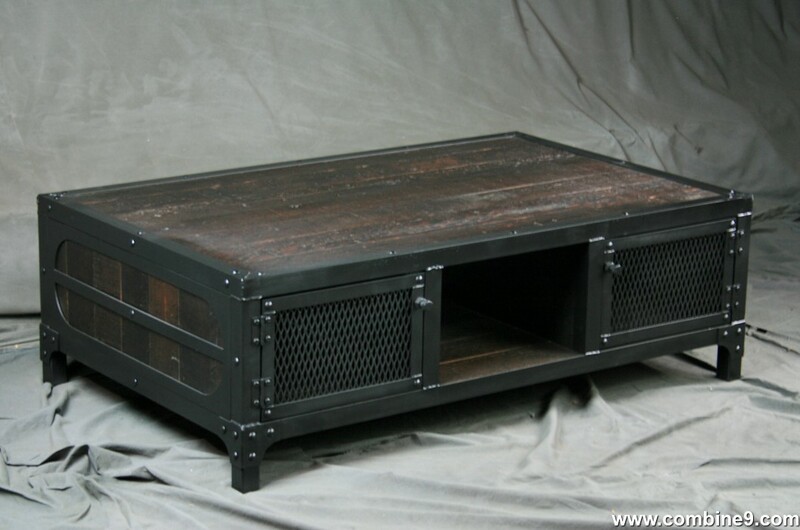 Our reclaimed wood and industrial furniture have also been used in Verizon and X-Box ads. Not to mention the countless number of wonderful small business owners and homeowners!